Multi-tenant retail center, approximately 9,560 sq. ft., approximately 2,060 sq. ft. built out as beauty salon and occupied, and approximately 7,500 sq. 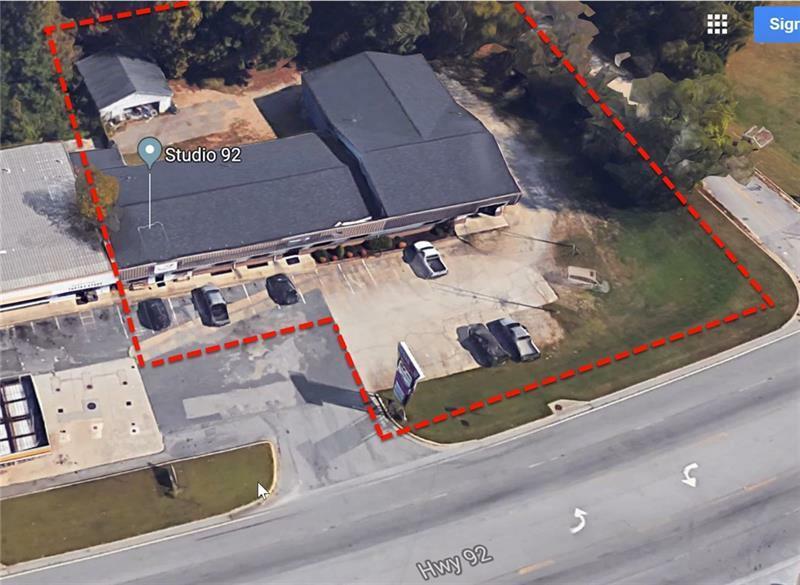 ft. built out for gym/fitness facility and vacant, and an approximately 900 sq. ft. garage at rear of property, currently vacate. Located on GA Hwy. 92, in the City of Hiram, GA, zoned B-2 Highway Business District, with traffic counts estimated at 21,000 vehicles per day. This Property is a bank owned foreclosure, to be sold, as is, where is, with no disclosures from the Seller.